Heavy vehicle operators and other road users will soon be safer on the roads following new Australian Design Rules (ADRs) aimed at reducing heavy vehicle rollovers and similar loss-of-control crashes. The ADRs will mandate Electronic Stability Control (ESC) for new heavy vehicle trailers from July 2019 and for selected new heavy trucks and buses from November 2020. This will bring the same life-saving technology to Australia as is currently required in Europe, the US and other markets. Heavy vehicles represent three per cent of registered Australian vehicles and account for just over eight per cent of total vehicle kilometres travelled on public roads, but on average, they are involved in close to 17 per cent of fatal crashes. 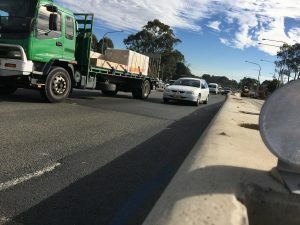 More than 200 people are killed on Australian roads each year as a result of fatal crashes involving heavy trucks or buses. “Approximately 20 per cent of those tragic deaths can be linked to rollovers or loss of control, so by having advanced braking systems fitted we can save an estimated 126 lives and reduce the number of serious injuries by more than 1,000 over the period of regulation,’’ says cities and urban infrastructure minister Paul Fletcher. “These changes will greatly improve safety for all motorists and reduce the impact of road trauma on Australian communities by an estimated $216 million. “Heavy vehicles typically have large masses, long length and relatively long stopping distances when compared to light vehicles, thereby increasing both the risk and severity of crashes involving heavy vehicles,’’ he said. “Many heavy truck and bus rollovers involve only one vehicle and fitting ESC will, in many cases, prevent these kinds of crashes occurring. Industry and governments have been active in encouraging, or requiring the use of advanced braking systems such as ESC, Antilock Brake Systems (ABS), Electronic Braking Systems (EBS) and RSC in heavy vehicles. Peak industry bodies have also worked in partnership with the Commonwealth to minimise the regulatory costs, including by harmonising the ADR as much as possible with other major markets around the world.